It’s no secret that I love a good deal. But those good deals go beyond coupons at the grocery store and bargains on clothing. I love good deals all around the house. That includes furniture. Furniture can be really expensive, and while quality pieces will typically last a lot longer sometimes the budget doesn’t allow. In those cases, you will want to know where to buy cheap furniture. Spoiler alert: Ikea isn’t the only place you can buy cheap furniture! Recently, we’ve been discussing replacing our couch. We re-stuffed it a few months ago (see my post here about how to fix a saggy couch), and while that is holding up well, the big problem is the frame itself. The wood is broken on the back of the couch, and the armrests have no padding at all left so you’re leaning on bare wood covered in fabric. Ouchie. So while I definitely recommend re-stuffing the cushions of your couch to get some more life out if it, sadly we are coming to terms with the fact that in the very near future, we are going to have to replace it. So I set off to find affordable couches and sectionals and was blown away by the number of options. I think when people think about where to buy cheap furniture they immediately think of Ikea and think that’s their only option. Nothing could be further from the truth. I found some great deals on these pieces that I wanted to share with you to give you some ideas and inspiration for your own furniture search. I would never have thought of Amazon as a place to buy a sofa, but it turns out they have a great selection. Many of the pieces come with Prime shipping. If you don’t already have a Prime membership, you are missing out. Ours has paid for itself MANY times over. (You can use this link to try Amazon Prime FREE for 30 days.) Some of the sofas require simple assembly, but with a little elbow grease you can snag a really great deal! 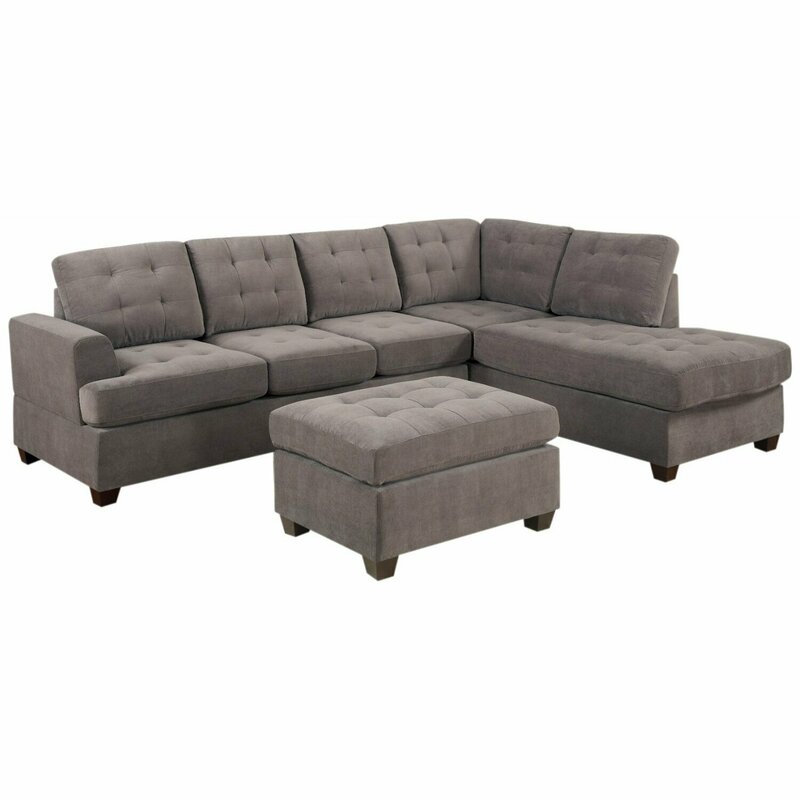 The Bobkona Michelson 3 piece reversible sectional sofa is practically perfection. I love the tufted look. 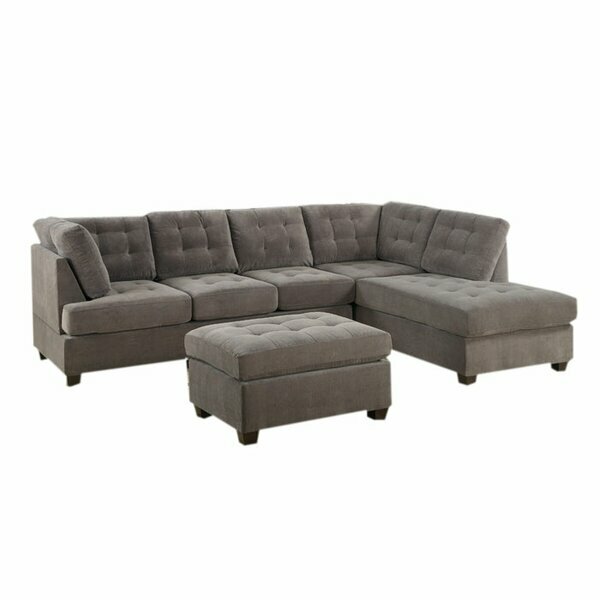 This one is $649 plus shipping which is a STEAL for a sectional! *Sigh* This decision keeps getting harder and harder. 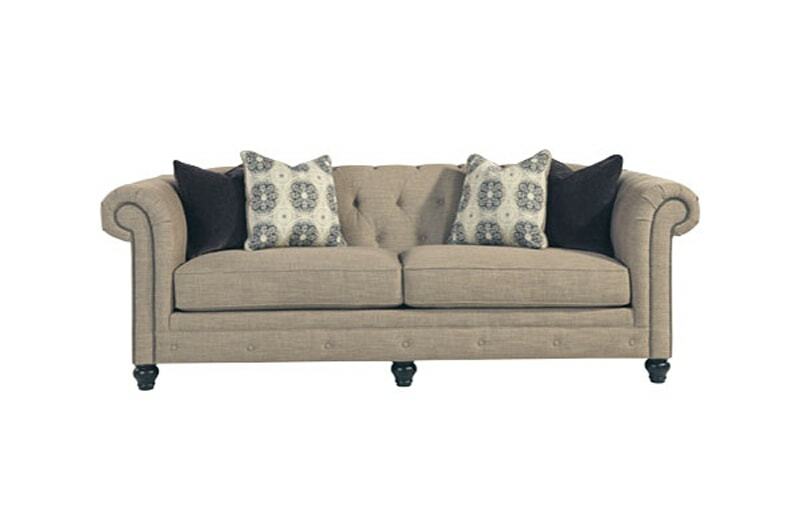 This is the Bobkona Poundex Bedford Collection Faux Linen Chaise Sofa. I am starting to think that a chaise sofa is a must-have. What do you think? I thought sofas like these were going to be way out of our budget, but can you believe this one is only $705 with FREE Amazon Prime shipping?! This one is a little on the smaller side, which might be nice since our house is not huge. 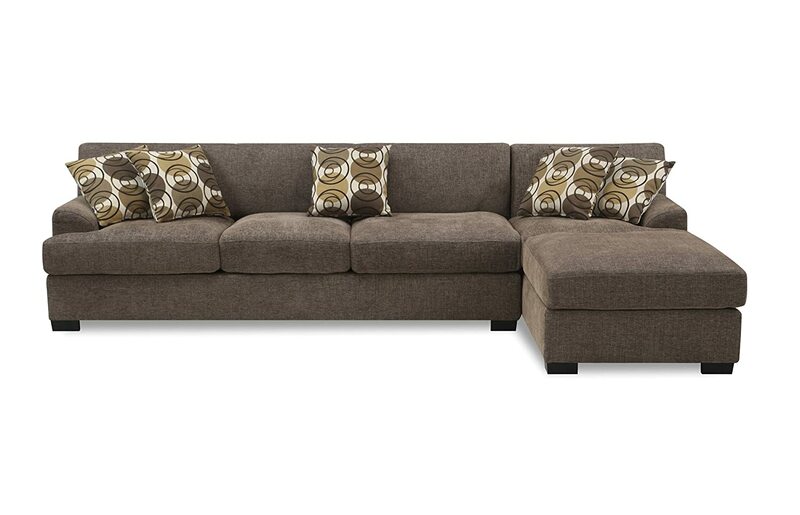 This is the Bobkona Poundex Simplistic Collection 3pc sectional sofa. Originally I wasn’t a fan of the ottoman but it is totally starting to grow on me. I can just imagine curling up on that chaise to write blog posts or read a book! It looks awesome! Its a total bargain at $454 plus shipping. Wayfair has a HUGE selection of all things home decor. I hadn’t heard of them until a couple of years ago but now we LOVE shopping with them. They always have amazing prices and their stuff is really cute and holy Toledo can you believe the selection? Have you noticed I like gray? It is definitely my preferred neutral. I’ve never really been a beige person. But enough about my personal problems, check out this couch! This is the Andover Mills Doty Sectional. Priced at $478.99 with free shipping, its another sweet deal! 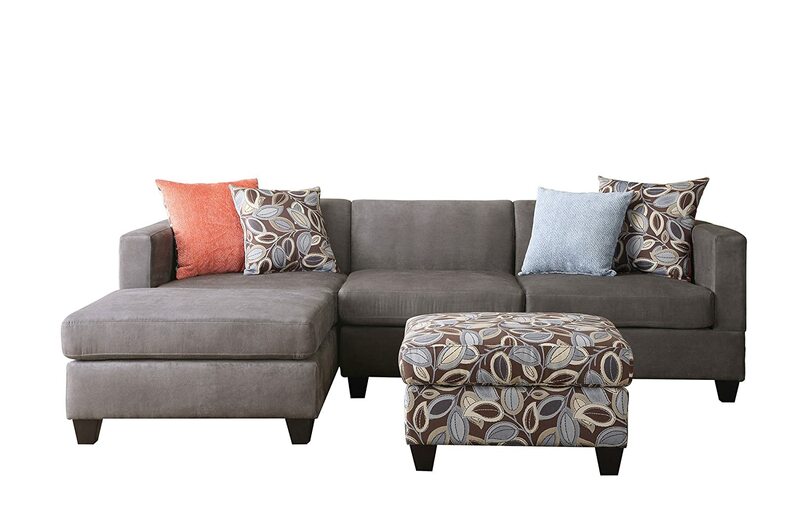 This is the Reversible Chaise Sectional from Madison Home USA. Its similar to the Bobkona one from Amazon, but slightly different. I really am starting to like this style even though its a bit more modern than I would typically go for. This one goes for $799.99 with free shipping. All these couches are making me want a nap. For real. Are you starting to notice a trend here? 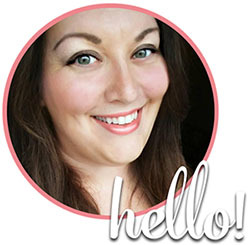 As I am writing this post I am noticing that I have picked some couches that are really similar! Maybe I have found my answer after all? 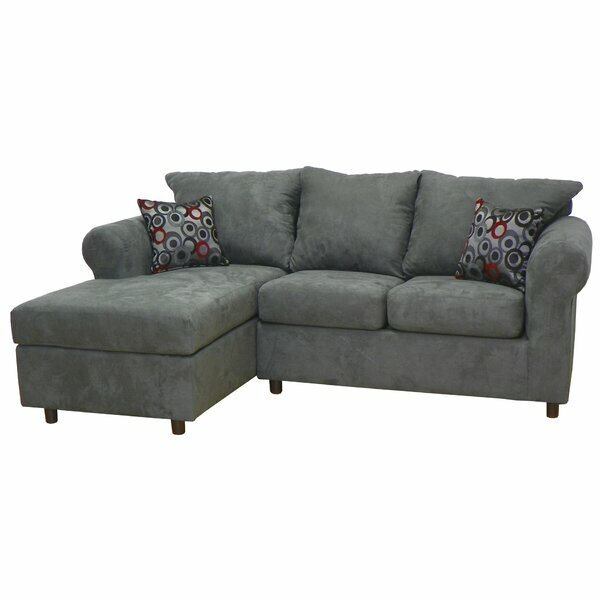 This is the Brayden Studio Dania Suede Sofa. $959.99 (and free shipping!) and this can be yours. It looks so cushy and comfortable, unlike the wooden bar that is currently digging into my back on my present couch! I have not yet ordered from Joss & Main but I LOVE all their stuff. So many pretty things and pretty good prices to boot. The Azlyn Tufted Sofa is GORGE. I absolutely love this even though it doesn’t have a chaise. That fabric is perfection and the tufting is to die for. At 100″ this is a nice BIG sofa too (contrary to how it looks in the picture) which totally makes it a viable contender. It’s on sale for $796.95 with free shipping too! While I love the color and shape of this couch, I am not 100% sold on the armrests. I feel like they need to be bigger, what do you think? This is the Malia Sofa. At 87 inches its a good size for lounging! At $558.95 its a total steal! Seriously, Rose? Another one in this style? Yep! I think I know what I need to look for now. Haha! 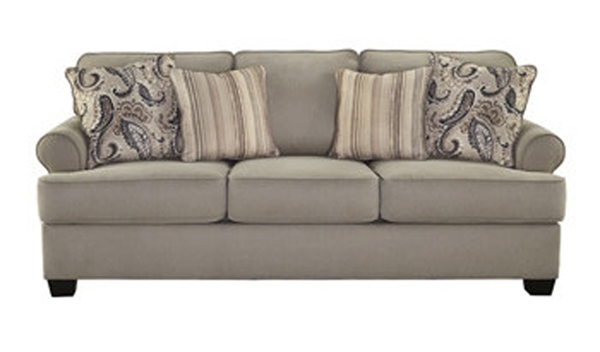 Anyway, this is the Drew Tufted Sectional Sofa. I am willing to bet you can figure out why I like this one. This runs for $800.00 with free shipping, and it. Is. FAB. I really like this one. Man did I just make this decision even more difficult? 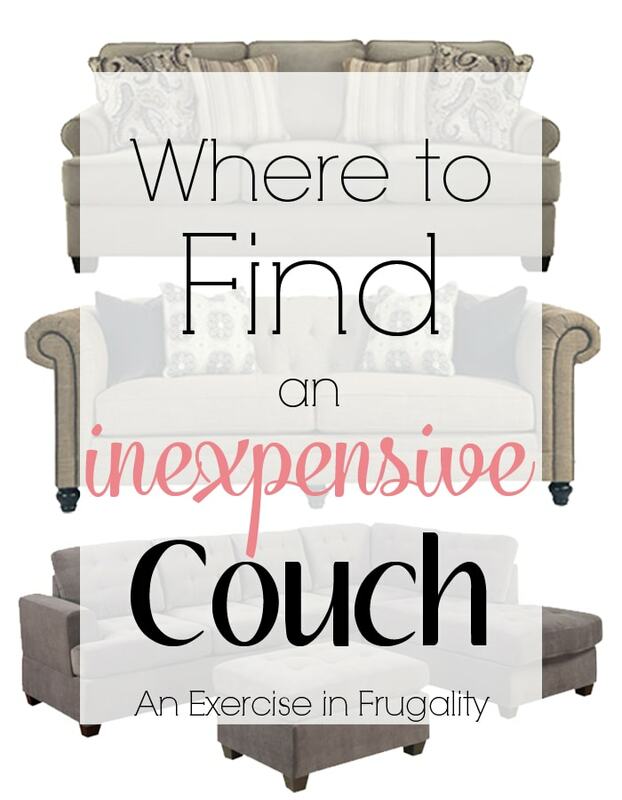 So there you have it, 3 places you might not have considered where to buy cheap furniture! All 9 of these sofas were under $1,000. Which cheap couch is your favorite? If you want a really inexpensive couch look on craigslist. One of these might go for half that price. It’s used but who cares, make sure it comes from a decent home, most people take good care of their stuff and lots of times it’s just for decor in a living room if they also have a family room that is always used. It’s really worth considering. Thanks for the heads up on Amazon would would have never thought to look there for a couch or furniture. Yes! Absolutely. There are lots of great places to get used couches. Craigslist has some great deals, and I have seen some decent stuff at some of the thrift and second hand stores near me as well. I wasn’t even thinking about second-hand ones when I wrote the post, but you bring up an excellent point! I have very small kids ages two and five so I’m not buying new until they are off to college. They make so many messes. Lol Do you have little ones? That’s a totally valid concern! A lot of places offer free shipping and/or free returns. Amazon is usually really good about returns. Sometimes you can even find these brands in stores to test them out, and then search online for a better deal! 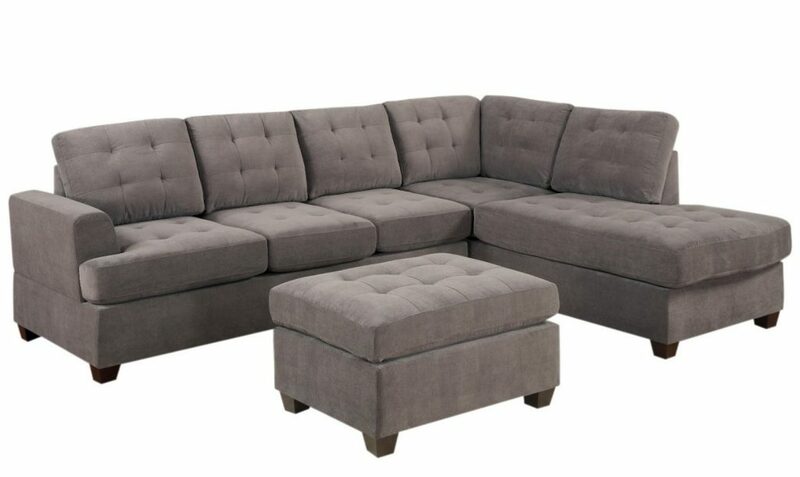 I’m going to measure the one I have now, so I get a perfect fit for the spot, but I LOVE the Wayfair Andover Mills Doty Sectional. Priced at $478.99 with free shipping! !